Apple har netop annonceret, hvordan de planlægger at overholde nogle af GDPR-reglerne. Ligesom Facebook og (til en vis grad) Google, giver Apple dig nu mulighed for at downloade alle de data, de har samlet ind om dig. Med ganske få klik kan du se, hvilke data, firmaet har gemt, når du bruger din iPhone, iPad, Mac, Apple TV eller andre Apple-produkter. Du går simpelthen ind på denne side og logger ind med dit Apple-ID. Når du først er inde, bliver du præsenteret for en række muligheder, heriblandt muligheden for at downloade (eller slette) alle dine data. Du kan dog også vælge kun at se data i visse kategorier eller fra visse devices. Modsat visse andre tjenester skal du dog væbne dig med tålmodighed, når det gælder Apple. I stedet for en direkte download som hos Facebook, samler Apple alle dataene for dig i en ZIP-fil, der så bliver e-mailet til dig indenfor 7 dage. Det er værd at notere sig, at Apple har åbnet for denne tjeneste i USA samtidigt med EU. Ligesom Facebook lader det altså til, at Apple har tænkt sig, i hvert fald til en vis grad, at lade EUs GDPR-regler diktere deres privatlivs-politikker i USA, selvom GDPR ikke gælder der. 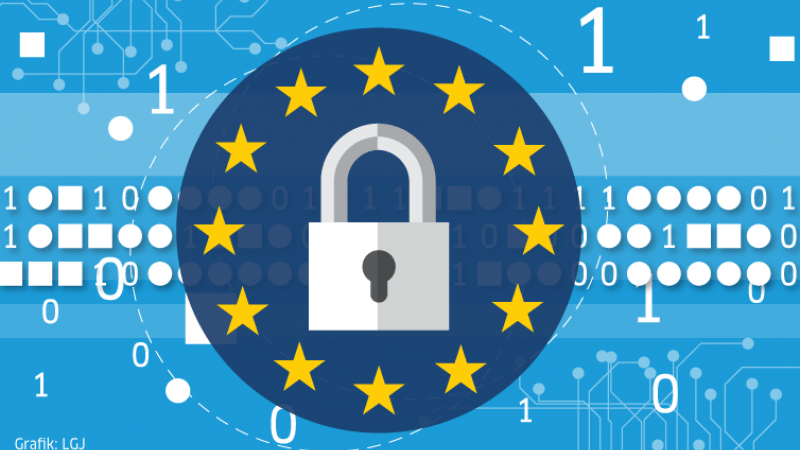 Dette er vigtigt for europæiske brugere, fordi de såkaldte ’EU-US Privacy Shield’-regler, der lige nu regulerer transport af persondata på tværs af Atlanten, muligvis bliver ophævet. Hvis det sker, og indtil eventuelt andre regler bliver forhandlet på plads, vil det være op til tech-giganterne at overholde en god praksis for persondata uden for EU. Many of our files are now hosted from inside of iCloud and you may not even know it. Not only does it this make them available on all your devices, but files can actually be recovered should they ever be deleted —at least most of the time. Before you get your hopes up about recovering that long-gone term paper, there are as series of caveats that accompany iCloud file recovery. First, is understanding which files are actually housed in iCloud. Second is being within the recovery window. And third, is knowing from which devices recovery can be accessed cleanly —and how. Starting with which files live inside iCloud, it can be a bit fuzzy. On recent versions of macOS, Apple syncs your Desktop and Documents folder to iCloud, making them available on the web and your iOS devices. Any files in those two locations can be synced to iCloud, assuming it is turned on. Other files live there as well, such as those of popular apps such as Pages, Keynote, Numbers, Just Press Record, Affinity Photo, and many more. When files are saved in the default folders, any of these files could be potentially recoverable. Our second qualifying factor is the timetable. Any files that were stored on iCloud get moved into iCloud’s trash, which keeps files for 30 days. If you delete a recording in Just Press Record, you’ve got about a month to recover it before it is lost forever. Third, you have to be on a specific device to access to iCloud’s hidden trash depot — namely, a computer. Any iOS device — be it iPhone or iPad — is generally unable to access iCloud.com, which is where Apple keeps the list of deleted files. Therefore, you’be got to be on a Mac or PC to be able to find them. Some files can be restored using an iOS device and the Files app, but we will touch on that in a bit. With that out of the way, let’s take a look. Scroll to the bottom, and on the left you will see an option to Restore Files. Click that. A window will appear, showing you all of your recently deleted files. Select the check boxes next to the files you’d like to restore, and tap Restore. There are additional nuances that may help along the way, such as sorting the files by date deleted, name, or size. It is also good to know that iCloud’s recovery feature is also painfully slow. Slowly but surely, your files will appear in their original locations. Whenever you head to iCloud.com you are presented with an explainer that outlines the abilities of iCloud but doesn’t give you the option to sign in. You can hold the refresh button in the navigation bar and tap Request Desktop Site, but it is certainly not a mobile-optimized experience, nor in our testing did it work for file recovery every time. If you head to the Files app, there is an option for recently deleted files, but it does limit you to files that were deleted on your iOS device. If you’ve ever inadvertently moved a file from your desktop or documents folder to the trash and emptied it, then soon regretted it, you may not completely be out of luck. While slow, iCloud’s file recovery feature can easily be a lifesaver. If you’ve recently upgraded from a device like an iPhone 8, iPhone 7, or older iPhone, you’ve likely noticed how different it is to use a phone that lacks a physical Home button. 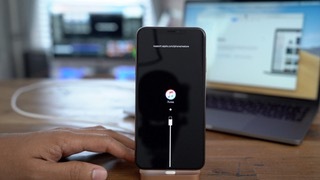 But what about basic iPhone reset functions like how to force restart iPhone XS, or even more advanced functions like entering Recovery or DFU mode? All of these functions previously required Home button input, so methods have changed with the latest crop of new iPhones. 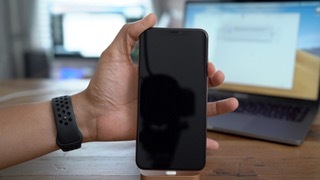 In this post and hands-on video walkthrough, we show you everything you need to know about performing these functions on your iPhone X, iPhone XS, iPhone XS Max, and iPhone XR. There are three physical hardware buttons on the new iPhones: A Volume Down button, Volume Up button, and a Side button. You can perform a variety of functions with your iPhone using various combinations of those three buttons. What you won’t see is a Home button, a staple of the iPhone’s design up until the release of the iPhone 8 and iPhone 8 Plus. Step 1: Press and hold the Side button + either Volume button until the slide to power off dialogue appears. Step 2: Release the buttons, and swipe right on the slide to power off dialogue and the phone will power off. Step 1: Press the power button once, and it will power on. Note: You don’t have to hold the power button to turn on the device if it’s truly powered off and has enough battery. Note: Each of the following steps should be performed in quick succession to successfully force restart iPhone XS, XR, X, etc. 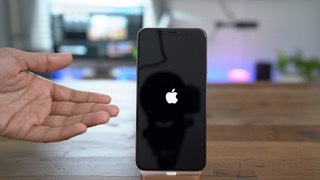 Watch the video above for an example on how to force restart iPhone XS. Step 1: Press and release the Volume Up button. Step 3: Press and hold the Side button and continue to hold until the device reboots. Note: Steps 2-4 should be performed in quick succession. Watch the video above for an example. Step 1: Connect your iPhone to your Mac (or PC with iTunes installed) using a Lightning to USB cable. Step 2: Press and release the Volume Up button. Step 3: Press and release the Volume Down button. Step 4: Press and hold the Side button and continue to hold as the device reboots. Step 5: Even after the Apple logo appears, continue holding the Side button. Step 6: Release the Side button after you see the Connect to iTunes logo and dialogue. Step 7: Launch iTunes, and you’ll be presented with a message to acknowledge your connected iOS device in Recovery Mode. You’ll then be given options to update or restore your iPhone’s software. Step 1: Press and hold the Side button until the Connect to iTunes logo disappears. You iPhone will then reboot back to normal. Note: Steps 2-4 should be performed in quick succession. Watch the video above for an example on how to enter DFU mode on iPhone XS. Step 5: While continuing to hold the Side button, press and hold the Volume Down button for 5 seconds, and then release the Side button while continuing to hold the Volume Down button for an additional 10 seconds. The screen should remain black if performed correctly. Exiting DFU mode is a bit more involved than exiting normal Recovery mode. Step 3: Press and hold the Side button until the Apple logo appears. Note: You can also use this same method to exit out of Recovery mode. Step 1: Press and hold the Side button + either Volume button. Step 2: Tap the Cancel button. You’ll be required to enter your iPhone’s passcode to reenable Face ID. Note: Emergency SOS will contact emergency authorities and send a text message with your location to your emergency contacts. Obviously, this should only be used in the case of a real emergency. Step 2: Continue holding these buttons as the Emergency SOS countdown continues or slide the SOS button on the Emergency SOS slider. If you’re coming from an older device like the iPhone 6s, iPhone 7, or iPhone 8, then it may take a while to get used to the new mechanics to force restart iPhone XS, enter recovery mode, etc. 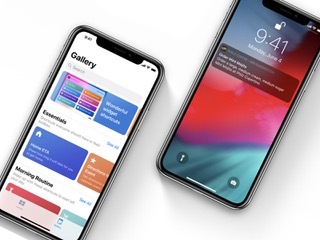 Because the Home button no longer exists on newer devices like the iPhone X, iPhone XS and XS Max, and iPhone XR, Apple had to come up with an alternative method. I recommend bookmarking this page, as it’ll serve as a good memory refresh in case you ever need to force restart iPhone XS, or perform any of the aforementioned functions. For more details on the iPhone XS, be sure to watch our hands-on video as we discuss the device’s top new features and changes. Be sure to subscribe to 9to5Mac on YouTube for more videos. Hvem som helst kan følge med på et stort antal dashboard-kameraer. Mange er begyndt at købe de såkaldte dashboard-kameraer. Det er fastmonterede kameraer, som filmer kontinuerligt, mens du kører på gaden, eller når bilen står parkeret. Videooptagelser i flere retninger, typisk fremad og bagud, kan være hensigtsmæssigt for eksempel som dokumentation ved trafikuheld, hærværk eller indbrud. Enkelte modeller kan også streame video og lydoptagelser inde fra bilen enten via mobilnettet eller trådløs wifi. En sådan funktionalitet er dog sædvanligvis i det øvre prisleje. Den seneste tid har flere reageret på, at modeller fra koreanske Blackvue deler både videooptagelser, lydoptagelser, bilernes GPS-position, fart og retning i realtime som et standardvalg, uden at kunderne selv har valgt at dele noget offentligt. Hvem som helst kan downloade selskabets mobil-app eller Blackvue Cloud Viewer til Mac eller Windows og følge med bilerne på et realtime-kort. Et flertal af bilerne i f.eks. Norge er mærket med grønne ikoner, som indikerer, at det bare er at klikke sig ind for at følge videostreamingen. Man har ikke brug for sit eget Blackvue-kamera for at gøre dette, men du skal registrere dig med en konto. Det er indlagt en begrænsning på 10 minutter daglig streaming fra andres dashboardkameraer for brugere med en gratis konto – en begrænsning, der ophæves, hvis man betaler. Blackvues praksis blev for nylig problematiseret i et indlæg på en norsk Tesla-fanside på Facebook. Flere kommenterede der, at de ikke kendte til delingen af videooptagelser og kørerute, og at de nu har valgt at deaktivere delingen i tjenestens indstillinger. 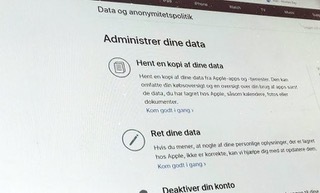 »At delingen tydeligvis er sat til ‘by default’ er virkelig skidt for brugernes privacy,« skriver en tipper til digi.no. Det er også muligt meget hurtigt at finde et klip lagt ud på Youtube sidste måned, som tager fænomenet op. Blackvue har ikke svaret på vores henvendelser. I mellemtiden har Blackvue Australia kommenteret det nævnte Youtube-klip, og de skriver der, at de har rejst sagen med ledelsen ved hovedkvarteret i Sydkorea – og nu skulle deres teknikere være i gang med at se på sagen. Det hævdes, at de arbejder på en ny måde at informere brugerne på, som skal være mindre ‘forvirrende’, end den er i dag. Man skal være specielt opmærksom, hvis man skal publicere eller dele billeder eller film, hvor personer er motivet – det kræver nemlig, at man forholder sig til personoplysningsloven. Derudover bør man vurdere, om det er etisk rigtigt at videreformidle sådant indhold. »Når man installerer et kamera tilkoblet internettet (cloudbaseret kamera) i hjemmet eller bilen eller et andet privat sted til privat brug, er det vigtigt, at man også sætter sig ind i, hvordan løsningen fungerer, og ser på, hvordan leverandøren beskriver dette i sine privacyvilkår,« oplyser fagdirektør for teknologi Atle Årnes i det norske Datatilsynet. Han påpeger, at når det gælder løsninger beregnet på et europæisk publikum, så skal den strengeste privacyindstilling være etableret på løsningen fra begyndelsen. 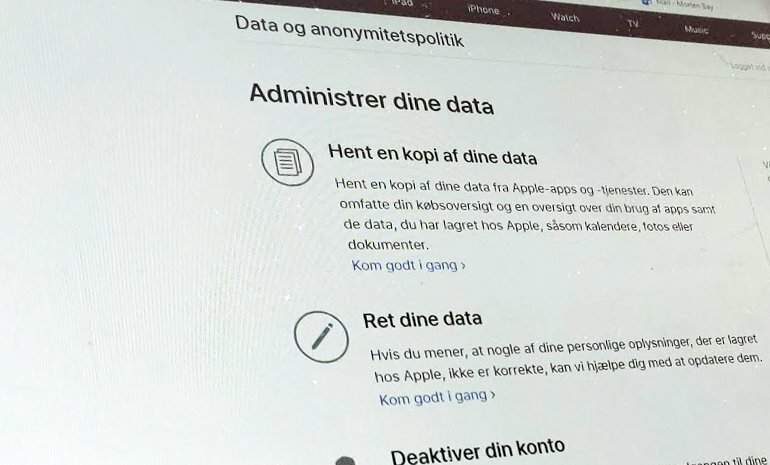 Det betyder, at du selv aktivt skal slå deling til – for eksempel publicering eller at andre skal have adgang til dine data. »I dette tilfælde ser det ud til at være et koreansk selskab, som leverer dashboardkameraer af typen Blackvue. Efter en hurtig gennemgang af deres hjemmeside kunne jeg ikke let se information om nogen europæisk kontaktinformation, eller hvilke love der gælder. Når dette ikke fremgår, skal brugeren være specielt opmærksom på at passe på sit privatliv,« skriver Årnes. Performing a clean install of MacOS Mojave may be desirable to some Mac users. A clean install means erasing all data on a hard drive, and then installing a fresh new installation of MacOS Mojave to that Mac. The idea is that a clean install starts fresh, sort of like how a new Mac comes when you first open the box, with no customization, no third party apps, no user accounts, no user data, preferences, settings, caches, no personal files or data, it’s basically just a new clean installation of MacOS Mojave, and nothing else. 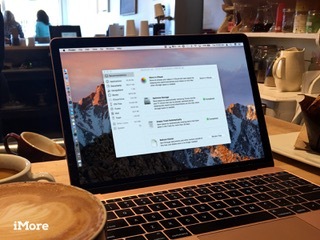 While the vast majority of Mac users should simply prepare for and update to macOS Mojave as usual from a prior MacOS system software release, thereby preserving their apps, customizations, personal files, and all else, this walkthrough is intended for users who want to erase a Mac completely and start over fresh to perform a clean install of macOS Mojave 10.14. You should backup all of your data before beginning, including all of your personal files and data, and an entire system backup is recommended too. You can use Time Machine or your backup method of choice. Remember, a clean install erases everything on a Mac. Remember, a clean install will erase everything on the Mac, including all personal files, photos, movies, apps, any customizations or settings, or anything else. A clean install starts new, with absolutely no personalization or your data on the computer. Thus it becomes critical that you have separately backed up your personal data and anything important to you, as failure to do so will result in permanent data loss. Warning: This process will erase everything on the Mac, and then perform a new clean install of macOS Mojave only. No personal files, data, or apps will be preserved or included on the Mac, unless you restore that data separately. Do not proceed without sufficient backups of your important data and computer. When the Mac has finished installing macOS Mojave, the computer boots up into a fresh clean install of macOS Mojave as if it’s a new computer, thus you’ll go through the standard setup process as if it were a new Mac. There are no personal files, no personal data, no apps, nothing on the Mac except for macOS Mojave and what comes with it by default. Thus, it’s a “clean install”. At this point, you’ll probably want to setup the Mac as new, and then go about manually re-downloading apps, utilities, and other stuff you use to the Mac, as well as manually restoring any of your important personal files and personal data to the computer. 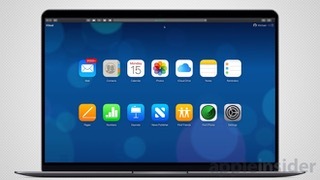 Or you can skip all of that and just use the Mac with a clean install of macOS Mojave as if it were a brand new computer, without restoring or copying any data back to it. That’s entirely up to you. 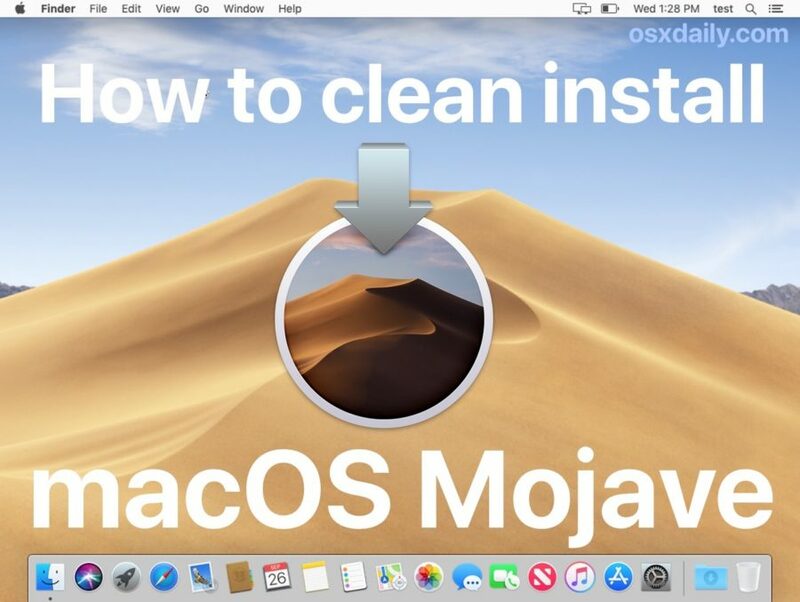 So that’s how you clean install macOS Mojave. If you have any questions, comments, or other methods for performing a fresh install of macOS Mojave, share with us in the comments below. You can reinstall a fresh copy of macOS Mojave with Recovery Mode! 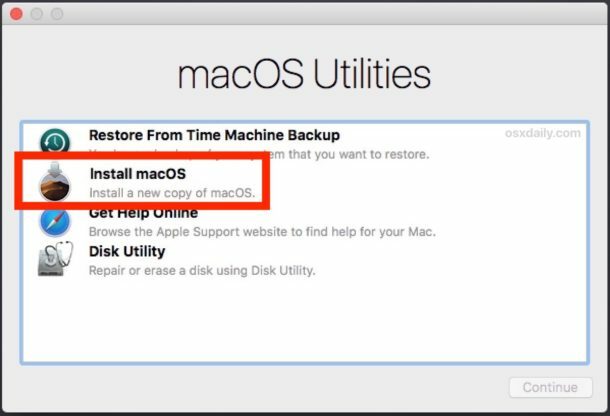 If something doesn’t quite work right after you’ve installed macOS Mojave, you can reinstall the operating system so it is a fresh copy. Reinstalling a fresh copy of macOS High Sierra will not affect your current settings. Applications and settings will remain the same. Completing this process replaces the core files of macOS Mojave in case something wasn’t working right before. It is a good idea to perform one full backup before starting with a clean copy of macOS Mojave. You can also back up files and documents using a cloud-based storage system like Dropbox, OneDrive, or the easiest: iCloud. 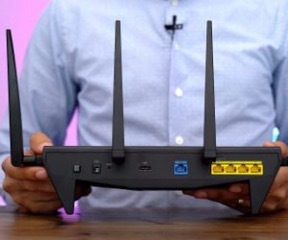 Make sure the computer on which you’re installing a fresh copy of macOS Mojave can be connected to the internet, either via Wi-Fi or Ethernet. This step is important. An Internet connection is needed in order to reinstall the macOS operating system. If you are using a laptop, make sure it is connected to a power source. 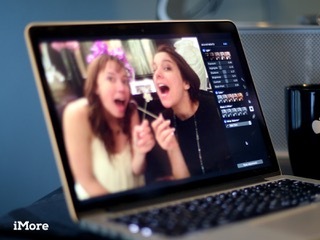 Recovery Mode is the special salvation of the Mac that first launched with OS X 10.7 Lion. It creates a temporary boot partition that allows you to access certain things on your computer that you might not be able to if your system froze or crashed. It is the easiest way to install a fresh copy of an operating system. Click on the Apple icon in the upper left corner of your screen. Hold down Command and R (⌘ + R) at the same time. When you hear the startup chime (or when the screen goes black on newer Macs), keep holding the keys until your computer reboots. When you install the latest operating system from Recovery Mode, sometimes, your Mac will install an older operating system, like High Sierra or Sierra. Once the older operating system installation is complete, you can then download Mojave directly from the Mac App Store. Remember, you must have an internet connection in order to download a fresh copy of the Mac operating system. Click on the Purchased tab in the Mac App Store window. Select macOS Mojave from the list of purchased apps. Click Continue when asked to confirm that you want to install software that is already on your computer. Click install after macOS Mojave is finished downloading. Do you need help reinstalling macOS Mojave on your Mac? Post your questions in the comments and I’ll do my best to help troubleshoot your issue. Updated September 2018: Updated for the public launch of macOS Mojave. Make a bootable installer of macOS Mojave so you can have a portable copy to install on multiple devices. 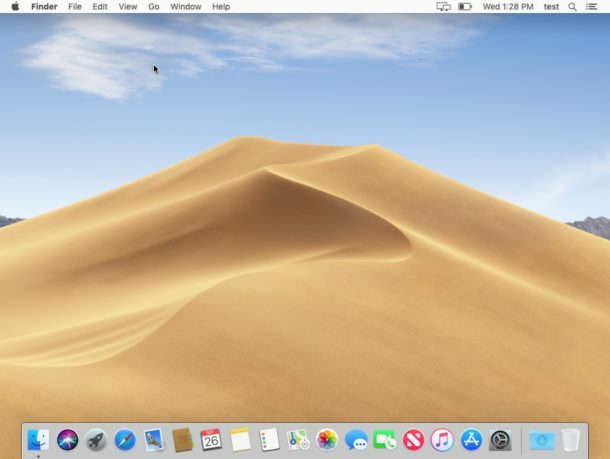 If you’re thinking about installing macOS Mojave, the first thing to consider is whether you want to install it directly onto your Mac or create a bootable drive. You can use a bootable drive on a hard drive partition for dual-software installation, to install on multiple Macs in your home, or as a bootable drive if you can’t use the Internet Recovery partition. Note: These instructions require the use of Terminal. If you don’t feel comfortable making changes to your Mac with Terminal, you can create a bootable disk using the DiskMaker X program. Before you get started, make sure you have a thumb drive with at least 15GB of storage, or a spare external hard drive (one you aren’t planning to use for anything else). You’ll also need to download macOS Mojave and ensure that it’s sitting in your Applications folder. Note: After macOS Mojave has downloaded, it will automatically launch the installer to begin the installation process. Quit the installer when this happens. And please: Don’t forget to back up your Mac before you do anything. You’ll need to start with a clean thumb drive or external hard drive in order to make it a bootable drive. Plug the thumb drive or cable for your hard drive into the appropriate port on your Mac. 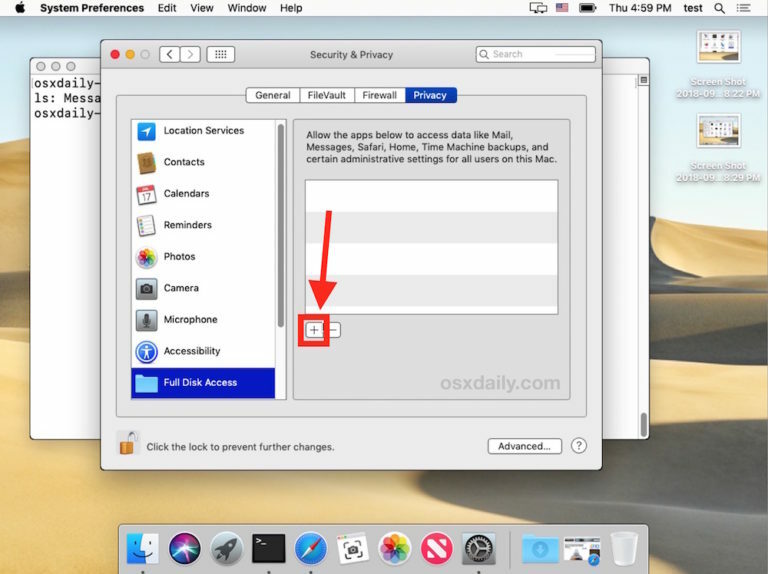 Click on Finder in your Dock to open a Finder window. Select Applications from the list on the left side of the window. Scroll down and double-click on Utilities. 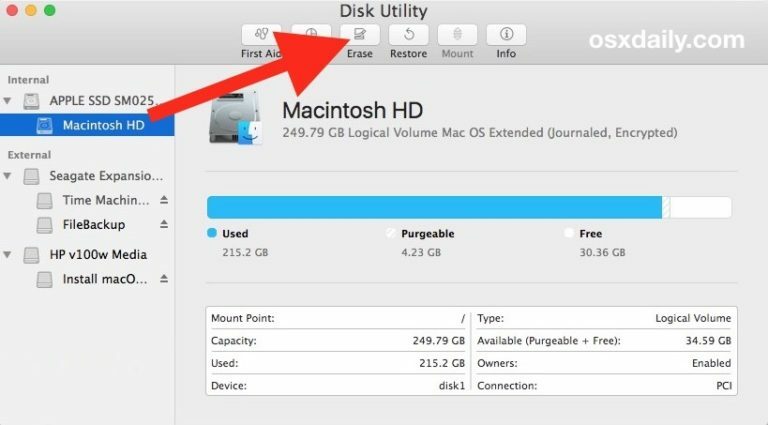 Scroll down and double-click on Disk Utility. Select your thumb drive or external drive under External. Note the name of your external hard drive (probably “Untitled”) because you will need it when you create a bootable drive. If you have more than one external drive with the same name, you will need to rename the drive you are using as a bootable installer now. If your Mac is using AFS+, select Mac OS Extended (Journaled) from the format list. If your Mac is using APFS, select APFS from the list of options. If Scheme is available, select GUID Partition Map. Your thumb drive or external hard drive is now ready. 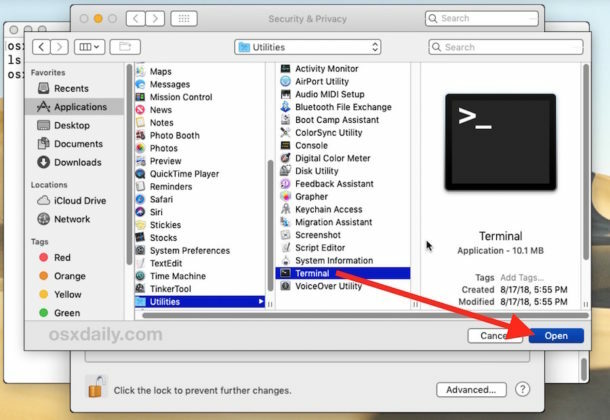 Important: You will need to use an administrator account on your Mac in order to run the Terminal commands to create a boot drive. You’ll also need to ensure that the macOS Mojave beta is in your Applications folder and you’ll need to know the name of the external drive. Scroll down and double click on Terminal. Recall the name of your formatted external drivewhen entering the following text into Terminal. If it is not named “Untitled,” you will need to change the command syntax for the pathname where it says: Volumes/Untitled. The name of the drive can’t have any spaces and it is case sensitive. Enter your administrator account password. This is the password you use to make changes on your Mac or log in. No text will appear in Terminal when you enter the password. Once macOS Mojave is installed on your external drive, you can install it on any Mac with the drive plugged into it. You can use this installer to upgrade your operating system easily on multiple Macs, or to help downgrade if you decide you want to go back to an earlier version of macOS. If you’re downgrading from macOS Mojave, please check out this guide instead. If you’re upgrading to macOS Mojave, follow the steps below. 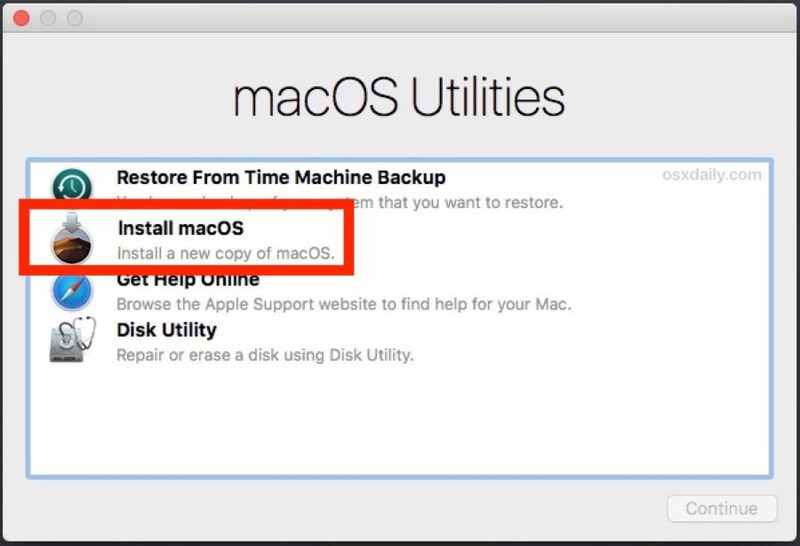 Turn off the Mac you want to install macOS Mojave with the bootable installer drive. Connect the external drive to your Mac via the USB port. Hold down the Option key when it starts up. Select the external drive with macOS Mojave on it from the list of systems to start up your computer. Follow the installation process when prompted. Do you have any questions about how to create a bootable drive for the macOS Mojave installer? Let us know in the comments. Updated September 2018: Updated for the macOS Mojave public release. Walkie-Talkie is a fun new way to communicate that’s been introduced with watchOS 5. 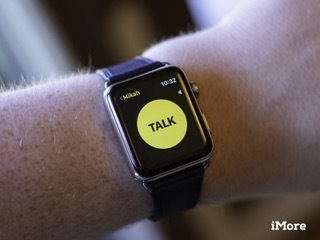 Apple Watch owners can use the new Walkie-Talkie app to instantly talk to available contacts by holding down a button, just like you would with a hardware walkie-talkie. The app works both over Wi-Fi and cellular connections, so you can use the app wherever and whenever you want as long as you Apple Watch has a data connection. Here’s how you’ll use Walkie-Talkie on your Apple Watch in watchOS 5. First things first, you’ll need to get Walkie-Talkie set up on your Apple Watch. You can only connect with other Apple Watch owners. Press the Digital Crown on the side of your Apple Watch to go to your app list. Tap Walkie-Talkie from the app list or grid layout. Tap the name of the contact with whom you wish to use Walkie-Talkie. Contacts that already have Walkie-Talkie set up will appear at the top of your list under Suggested. Tap the + button on your contacts list to add additional contacts to Walkie-Talkie. Once you’ve got everything set up, sending a message is really easy and involves a big yellow button. Open Walkie-Talkie on your Apple Watch. Tap on the contact you want to speak to. Tap and hold on the TALK button and speak. Let go of TALK when you’re done. If you need to be uninterrupted by Walkie-Talkie, you can turn off your availability. Open the Walkie-Talkie app on your Apple Watch. Scroll to the top of your Walkie-Talkie contacts list. Flip the switch next to Available to the gray Off or green On position depending on whether or not you’re available. Swipe to the left on the contact you want to delete. Tap the X button to delete the contact. If you need to, you can manage your Walkie-Talkie contacts using the Watch app on your iPhone. Tap on a contact to see their full contact card. Tap Remove to delete a contact from Walkie-Talkie. If you have any questions about Walkie-Talkie in watchOS 5, let us know in the comments. Siri Shortcuts may seem complicated at first, but you’ll be running it like a boss in no time at all. Now that iOS 12 has launched, the rest of the iPhone using world can check out and start using the Shortcuts app, bringing the ability to build scriptable custom shortcuts to iOS that can be added to Siri or run from your device. This app is the result of Apple’s acquisition of Workflow, an automation app that let users take advantage of their phone’s potential capabilities as a computer while also connecting apps together in new ways. As we mentioned in our Siri Shortcuts FAQ, the dedicated Shortcuts app coming to everyone with iOS 12 that lets you go deeper into Shortcuts beyond the suggestions or voice commands. Building off the shortcuts feature which already allows for actions to be taken on-device or with Siri using your voice, the Shortcuts app lets you build multi-step shortcuts that combine multiple steps you might take on your phone into one flow of actions. This app is like a visual programming language, letting you tell your computer what to do ahead of time by building it from individual pieces like a Lego set letting which you can organize into a sequence using drag-and-drop. Then, you can trigger the advanced shortcut by running it in the Shortcuts app, with your voice, or anywhere else Siri Suggestions show up (on the Lock Screen, in Spotlight, and on Siri face for Apple Watch). While most shortcuts are single tasks taking you into an app or doing something like ordering coffee, the Shortcuts app combines these will new actions that can be mixed-and-matched to get an endless combination of different results. Not only will you be able to do things like order from the Philz app as Apple demoed at WWDC, but you can also do things like gather recent photos, combine them into a GIF, and share it out to Messages in one tap. With these features, you can do a whole variety of things like build email templates, find all the recent music you’ve listened to and great a grid of album artwork, or even interact with web services like Dark Sky to retrieve information from online databases (and much, much more). If you’re new to this, there is an almost overwhelming amount of potential here. You can make simple little tools that accomplish a single task for you quickly, or you can go hog-wild and built a suite of mini-apps that serve your needs exactly – there’s a lot to learn here. Once you have access to Shortcuts, the app consists of two main screens – your Library of shortcuts and the curated Gallery that shows pre-made shortcuts you can add and try out. If you had Workflow already installed and have created workflows, those will be imported into Shortcuts automatically so you don’t have to add them manually. If you’re new to Shortcuts, however, I suggest looking through the Gallery and browsing the collections to see what’s possible – they’re organized by topic, app, or use case, plus there are banner pages at the top with larger groups of collections. You can tap on a shortcut to see its description, where you can tap “Get Shortcut” to add it to your Library to use later. Or, you can tap Show Actions and get a preview of the steps included in that workflow, which helps you get a better sense of what’s happening if you’re curious to learn more. Once you’ve added some shortcuts, you can run them by tapping on them once in the Library view. The shortcut will run in the background, completing its steps and moving through each action in a row until the shortcut is finished and your task is complete. These shortcuts will only operate inline, however, if they don’t include any prompts for the user – if you’re prompted to pick from a list of options or enter text in the course of the shortcut running, that will pop up on top and you can continue there. 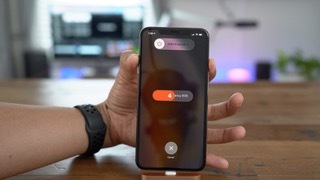 You can also add a custom voice command so that can you run that shortcut with Siri by tapping Add to Siri in the shortcut’s settings and speaking your prompt out loud. In order to edit a shortcut that’s been added to your library, tap on the ellipsis (dot dot dot) in the top right corner of a shortcut and you’ll enter the Shortcuts Composer view, wherein you can re-order the sequence of actions, add new ones, or change the details of an action if available. (Adding a new shortcut will immediately take you to the Shortcuts Composer). Once you’re in the composer view, you can add new actions to the flow using the expandable drawer and search field at the bottom of the screen. If you pull up on the grab handle, you’ll be presented with suggested actions to use in your shortcut – these are grouped by app/category, so you’ll likely see Calendar, Maps, and Sharing at first. an Apps section with actions from any third-party apps you have installed. For each action available in Shortcuts, you’ll see the icon, title, short description, and an info button to learn more. If you tap the action once, it’ll be added in the next available spot in your current shortcut. If you tap the Info icon, the drawer will be expanded to show buttons for Favorite and Add to this shortcut, as well as a description and more details about how the action operates. We’ll get into just exactly how Shortcuts work, how actions operate and pass content in between each step, and some tips for learning more in another article. But for now, you should know that in between actions inside a shortcut, content can be passed as input/result into/out of the action step, usually represented by the vertical line connecting the two. (This is partially where the original name Workflow came from, as content flows from one action to the next). Getting started with Shortcuts is understandably overwhelming – you’ve got quick pre-built tools you can already use, a whole new suite of apps to utilize and interact with, and a new visual programming tool that you can start to dig into. I suggest starting small – look through all the actions available, browse the gallery, and start running some shortcuts to see what happens (if you run it from the compose view, you’ll see each step occur one-by-one). Start experimenting with new shortcuts using only a handful of actions – Get Recent Bursts, Make GIF, and Quick Look will let you instantly turn a recent burst into a GIF in one tap, for example, which is in no way easy on iOS currently. And there’s a whole community to explore – we shared some links in our Siri Shortcuts FAQ as well. I also suggest reading the recently updated Workflow documentation from Apple or the previous version still available on the Internet Archive (written by yours truly when I worked at Workflow before it was acquired). Otherwise, there’s a whole new world of automation that you can start exploring. There will likely be a lot of trial-and-error if you’re doing deeper shortcuts programming, but once you get beyond the learning curve the sky is the limit right now. We’ll be covering much more here on iMore, and if you have any questions you can ask @iMore or me directly at @mattcassinelli and I’d be happy to help. Also check out my YouTube channel where I’m producing videos to help you learn the Shortcuts app.